Do I really want to share this with you? Obviously I do… I was debating writing about this, but I figure I should write about failures as well as successes, right? But not this one. Nobody wants this one. And this one is n o longer. Gone. Trash. But I did learn a lot. Which I will share with you. 1. Pattern… I think that’s the only good part of this project. I used a free Rosy Ladyshorts pattern, by Amy of cloth habit (I will refer to her often I’m sure because she makes awesome bras and blogs about it). The pattern is easy, and she had a tutorial which gives you all the details. The only problem is that I did not read everything. Well… So what happened? The crotch width ended up too narrow (you can probably see that in the picture). Not the pattern problem, mind you. The pattern assumes you will be using lace trim of certain width. As I opted for a thin elastic trim – i did not get that extra width. No good. 2. 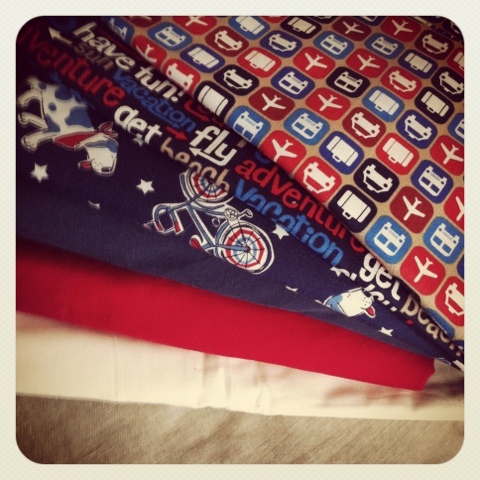 Fabrics… I chose a simple knit cotton. I know I could have used an old t-shirt, but I needed elastic trim so I had a reason to go to the fabric store. This was on sale and the guy called it ‘cotton spandex’ (I have no idea if that’s right). I looked for stretchy cotton, the kind that goes back after you stretch it, even if you stretch it all the way (I always do this test when I buy knit tops, especially long sleeved, because I cannot stand when the they stretch at elbows and they just stay stretched). This one passed the test. But it is on a thicker side, not too think but thicker than any of the other cotton underwear i own). 3. Trim… a disaster! I liked it at the store but when I started sewing it. Everything and anything that could go bad – did. Just look at the picture below. It started disintegrating at the top, where the decorative (or whatever) loops are. I guess this elastic is not meant to be served together (in a loop). I guess you work with it – with the ends – in some other way. And then, because the surface is ribbed (I think more than your generic white elastic), it kept moving while I was sewing it. 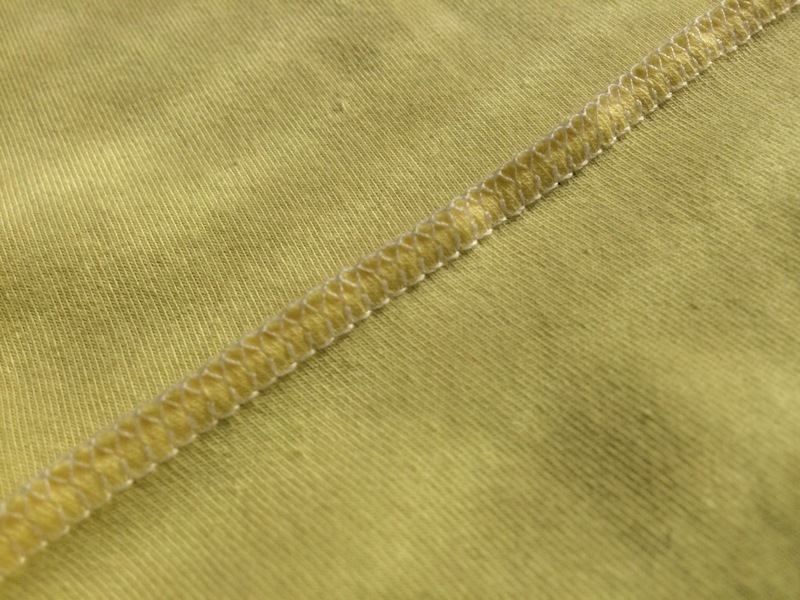 I was using a very slow speed, but it seemed I cannot sew a straight line. I tried to attach it as described in Amy’s tutorial but it kept slipping from the yellow fabric that I had to rip the seam (not recommended, I almost chugged everything at that point) and actually baste it by hand. Well, that was a problem because now I had to stretch, slightly, but still stretch a bit both fabrics while sewing and that made the edge wavy. Not good (ok, you can’t see that once you have it on, but I want my underwear to look nice on and off). And still I could not keep the seam straight. Argh! 4. And finally… the inside seams. OK, not a disaster, but I really do need to get the wooly nylon treads (Amy wrote about that too). 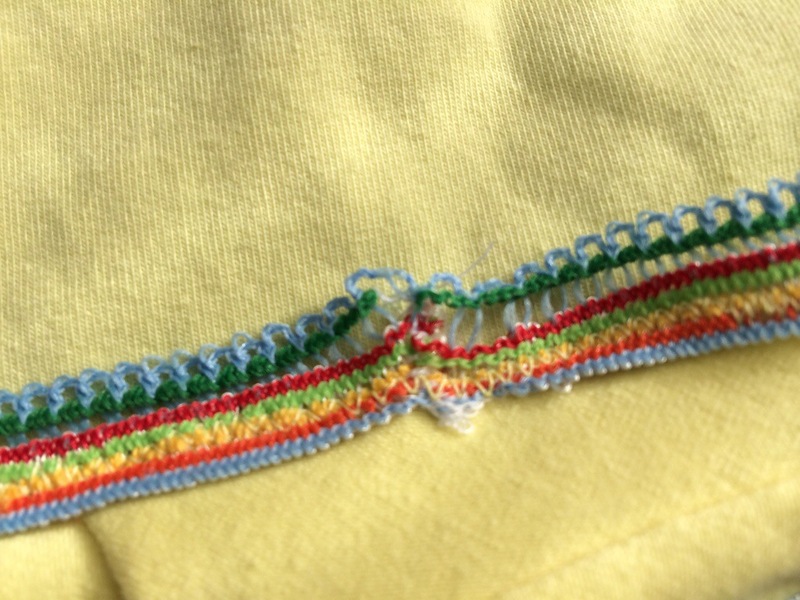 With the thickness of the fabric and the regular thread (I did not even have a fine thread in color close to yellow), the seams were very bulky and stiff. Surprisingly that did not bother me when I wore this pair (oh yes i did, the whole of Friday afternoon. had to test them). Maybe because the fabric was thick anyway. I don;t know, but I’m pretty sure I wouldn’t be able to use this kind of thread on finer fabric. Which is what I also bought on that trip to the fabric store. Very nice lace and some lace trim (thick trim so no more narrow crotch). So all in all, bad. But I still want to try again, determined that the second time will be better. And then the third time… well, we all know what happens the third time, right 🙂 Just waiting for the treads to arrive, and I am planning a trip downtown (LA) to look for bra supplies, more lacy fabric, trims and.. ah yes, the foam. 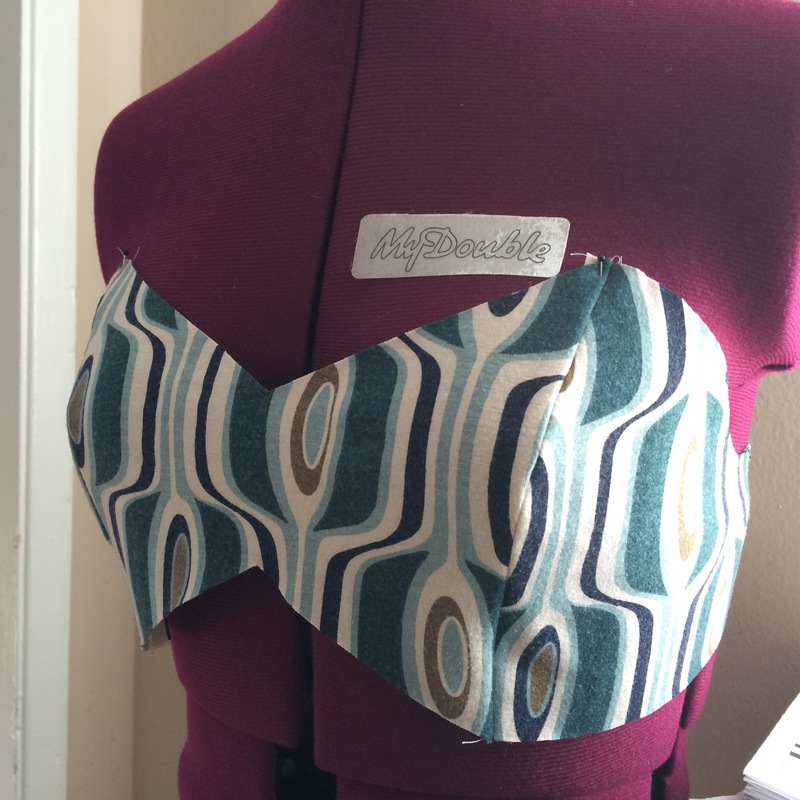 This entry was posted in sewing and tagged underwear on April 5, 2014 by flekka. First pillow to be gifted this Christmas is finished. I had this piece of dupioni silk for a long time, I picked it up at a sale somewhere. It was finished all around – serged, so it might have been one of those decorator fabric samples…. who knows. It was big enough to fussy-cut the four triangles and have some leftover for the back. I quilted the front (it is dupioni, so it’s heavier, but still too flimsy for a nice cushion cover, me thinks), but not the back. I did put in a zipper, concealed by a flap (see this tutorial from Sew Mama Sew blog). It was easier than I thought, and I like it much better than the envelope back. It holds in the pillow form better, doesn’t gap in the back. I might do this for all my cushion covers from now on. I like this pillow – I like the effect from the squares – and all with only 4 pieces of fabric. 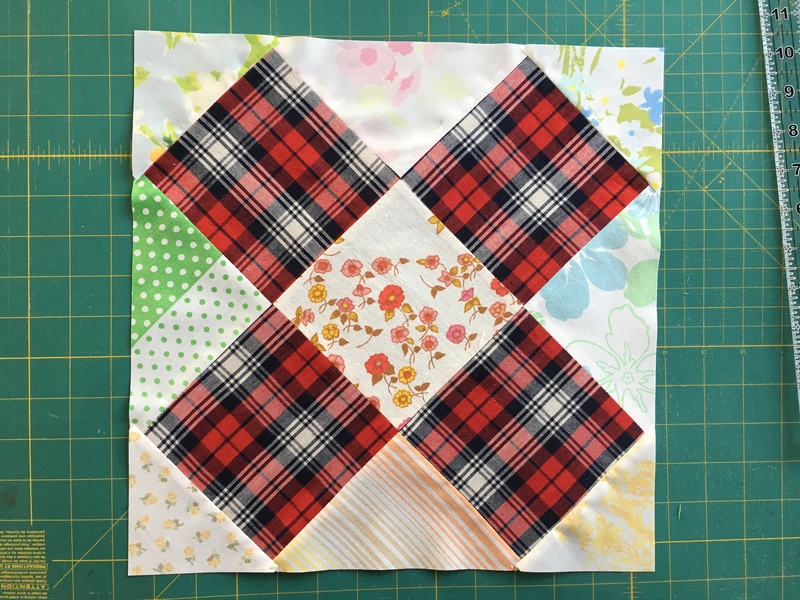 I quilted in the ditch diagonally – I didn’t want the thread to add any more lines. And then I quilted over all the lines of dark red in the fabric. If I did not have a serger, this might not ever have been finished – dupioni unravels so much – I think I probably lost 1/8 of an inch sewing the triangles together, which was before I realized I really have to serge everything. This entry was posted in pillow, quilting, sewing and tagged Dupioni Silk Pillow on December 9, 2012 by flekka. Challenge 14 finished. A loosely (but not quite big shirt big) fitting long sleeved shirt. Drafting details here. 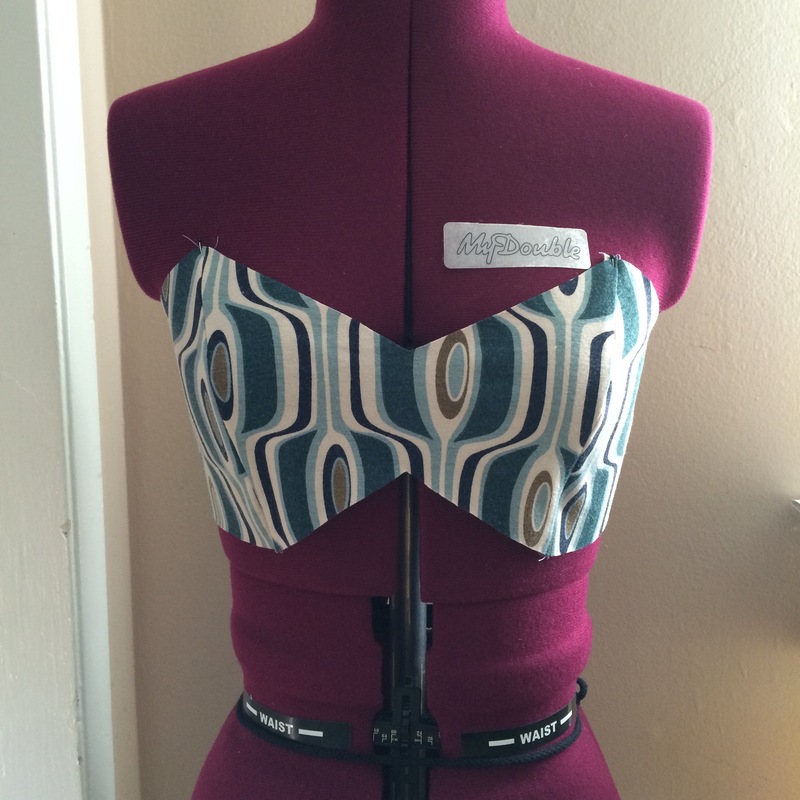 This entry was posted in drafting, patternmaking, sewing on May 22, 2012 by flekka. I finished Challenge 13 at flekka-challenge: knee high, slightly flared skirt with no darts in the front. I drafted from a basic straight skirt pattern. You can read all about it here. 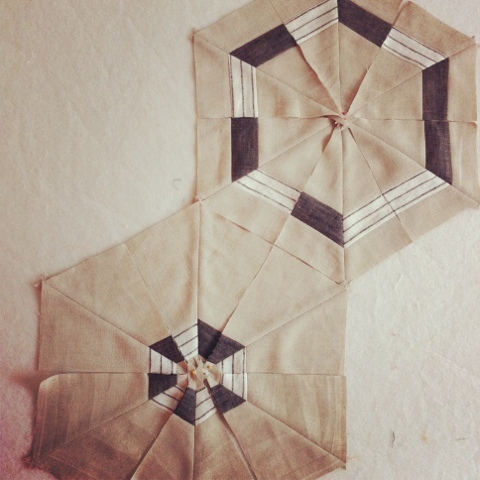 This entry was posted in patternmaking, sewing on March 20, 2012 by flekka. This one uses the same method as the Tolva quilt, but only thee “colors”, all linen. Love the look of linen, not so much working with it in a quilt. This entry was posted in making, sewing on March 1, 2012 by flekka.